This is an In Person Signed Black and White 10" x 8" Photo of them Late British Actor obtained when he appeared in ART in the West End with Tom Courtenay. 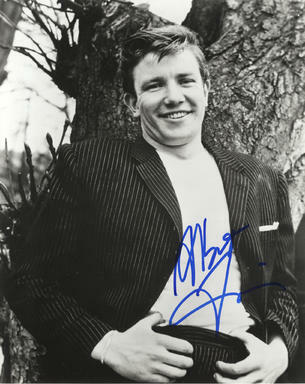 Albert Finney (9 May 1936 - 8 February 2019) is an English actor. He achieved prominence in films in the early 1960s, and has maintained a successful career in theatre, film and television. A recipient of BAFTA, Golden Globe, Emmy and Screen Actors Guild Awards, Finney has been nominated for the Academy Award for Best Actor four times, for Tom Jones (1963), Murder on the Orient Express (1974), The Dresser (1983), and Under the Volcano (1984); and was nominated for Academy Award for Best Supporting Actor for his performance in Erin Brockovich (2000).